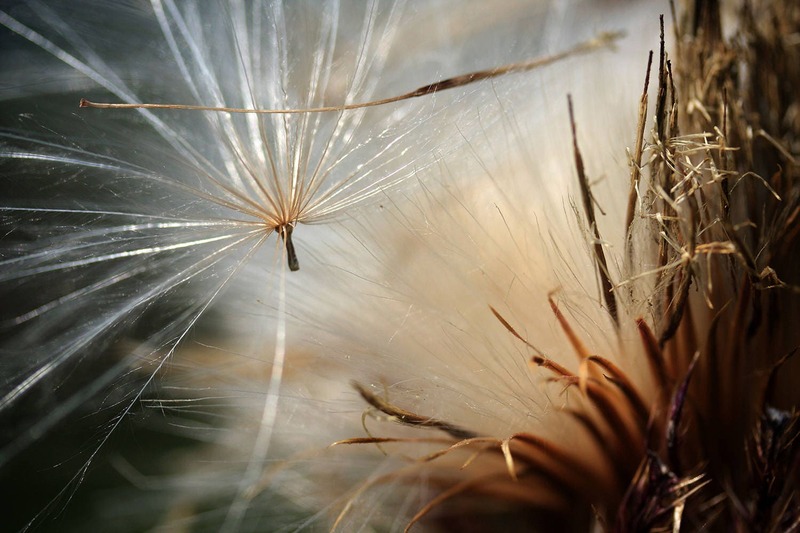 Limited Edition botanical photo metal art print "Escape" is an image of a single spent thistle blossom seed "escaping" from the mother blossom in a high wind on a bright afternoon in a park in Rockport, Texas. Luckily the bright sunlight made this photo possible at maximum fast shutter speed. A signed certificate of authenticity including the edition number (3 of only 26) will be mailed separately to purchaser. The image will be digitally signed by the artist.